Digital Manga is proud to announce the licensing of three exciting new BL titles for our June and 801 imprints! 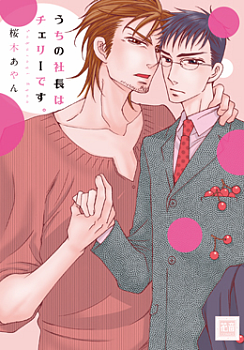 Ayan Sakuragi’s Deflower the Boss (Uchi no Shachou wa Cherry Desu) and Kairi Shimotsuki’s A Century of Temptation (Izanai: Hyakunen no Koi) have been licensed for print releases under our June imprint – keep your eyes peeled for release dates! Our third title, Naomi Guren’s The Incredible Kintaro (Masaka no Kintaro) has been licensed for print under out 801 Media imprint! Release dates will be announced soon!